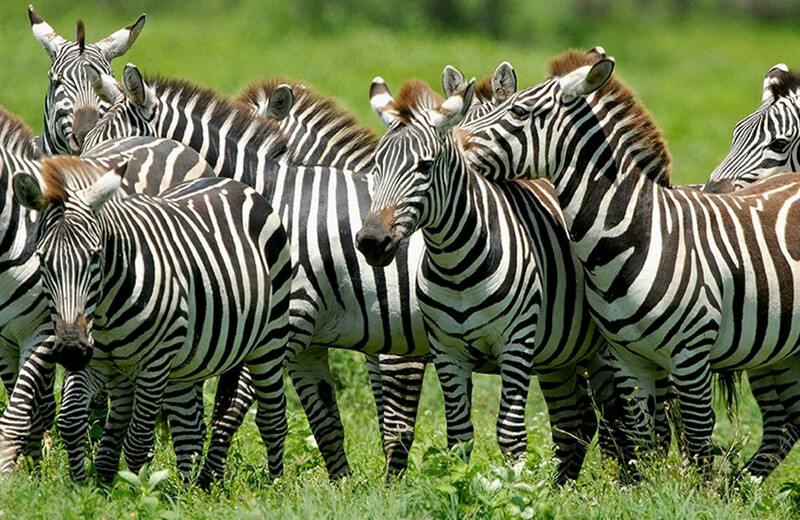 Discover the best of Uganda in 14 days. 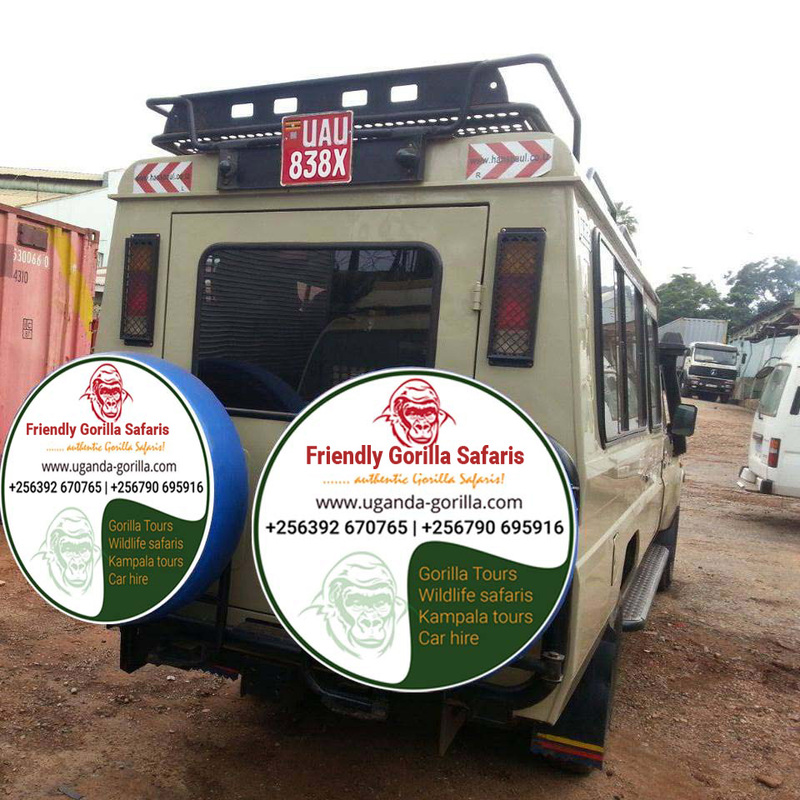 The safari takes you to explore the vast wildlife Uganda has. The safari also takes you to the virgin land of Kidepo for impressive wildlife & Karimojong discovery. Dawn drive to Kanangorok hot spring to meet the East African Big Five that can be seen wandering around, as well as birds like the ostriches. After you have returned to the lodge for refreshment, you will have breakfast and lunch and use the afternoon for a cultural experience that will get you in touch with the Karmojong people at Karenna and Kidepo. Spending time with these locals will make your safari remarkably memorable. Mix together and have a chat with the local elders and they will show you their animal kraals, the grinding stones, and many better items. Then, you will return to the lodge for dinner and overnight. This morning in Murchison Falls National parks starts different compared to Kidepo days. This time, you are having a morning boat cruise along the Nile. The boat cruise is approximately 2hrs, just floating on the waters, watching various animals on the water banks including the elephants, buffaloes, warthogs, hippos, crocodiles, birds such as the sun birds, African fish eagle and most interesting the water falls. If you are fit enough, you can opt for a hike to the top of the falls and if not, sail back to the river shores. Proceed for lunch, if it’s a hot day, take a deep in the pool and wait on your guide for an evening game drive. Many of the animals are winding their day and some on the night hunters are getting ready run out of their dens, catch a glimpse of the giraffes, elephants, kobs, bushbucks, warthogs, buffaloes, lions, waterbucks and so many more. This is enough for the day, return to your lodge for dinner and overnight stay. 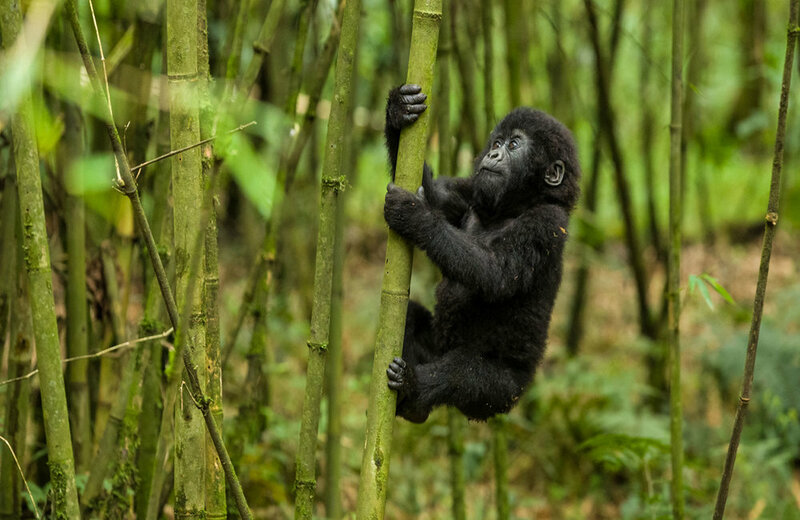 Kibale forest is termed as the primate capital of the world with over 13 species of primates living in this forest. Today’s best highlight is the chimpanzee tracking that takes approximately 3-4hrs with the help of the guide. 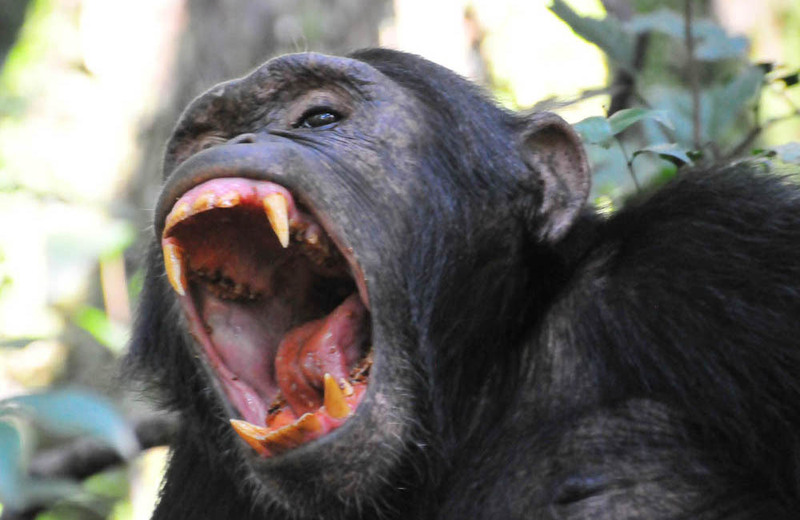 Make sure you carry some drinking water and get your camera ready to capture these apes. 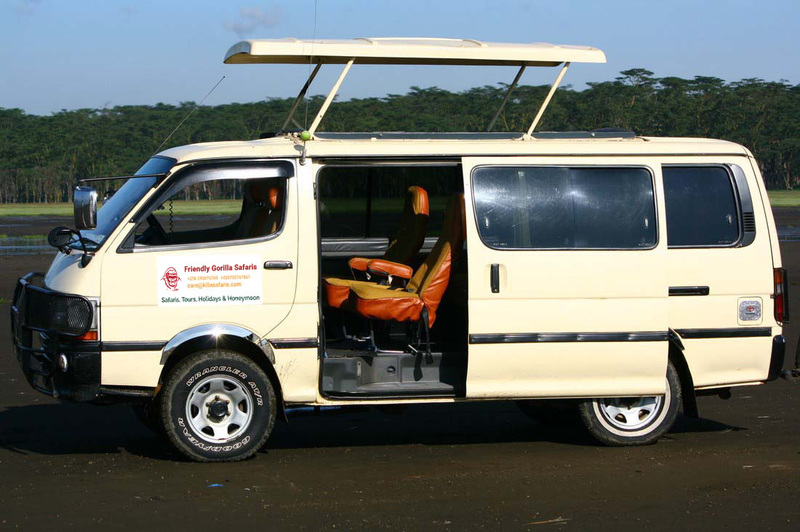 Close to the chimps, you can view the colobus monkeys, red tailed monkeys, forest hogs and thousands of birds. Retire from the encounter and return to the lodge for lunch or have a packed meal in the forest. Enjoy the rest of the afternoon at either leisure or visiting the Bigodi wetland to capture a moment with the birds of kibale forest and mostly the elusive shoebill before a transfer to Queen Elizabeth National park. You wake up for an early morning cup of coffee in the views of the moist savannah before heading to the park for the game drive at 7am. 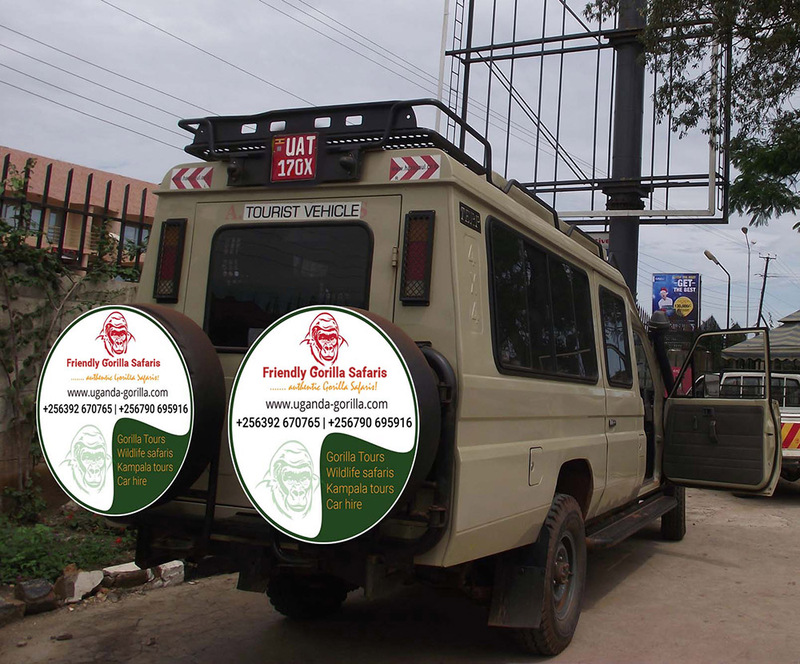 Undertake a game drive in the Kasenyi tracks and the Queen’s Mile in search of the amazing wild game including; cape Buffaloes, Leopards, Topi, Elephants, Kobs, Waterbucks, Warthogs, Hyena, lions, side stripped jackals among other wildlife. Retreat from the activity for relaxation and lunch after which you gather at Mweya jetty for an afternoon Kazinga Channel boat cruise departing at 2pm. This cruise offers you an opportunity to see at close range the highest concentration of water submerged Hippos, surrounded by over 60 species of migrant and resident birds plus crocodiles drinking and resting at water edges. You retreat from the boat cruise and do an evening game drive along the Channel track to explore more wild game in their evening moments. Continue to the lodge for overnight. the early morning lake tour by taking a boat cruise exploring the impressive waters of Lake Bunyonyi noted as the second deepest in Africa. You also take a walk on one of the main Islands to explore the beauty of the lake of a thousand Islands in detail. Retreat from the 2 hour activity and embark on the transfer to Kampala 437km about 7 hours’ drive driving through impressive country side landscapes of south western Uganda making a traditional lunch stop at Igongo Cultural Center for typical African buffet and another stop at Uganda Equator crossing Kayabwe for amazing photo shoots where one leg would be in the southern hemisphere and the other in the northern hemisphere. Arrive in Kampala in the afternoon to mark the end of the tour.